In the world of video games the samurai has been a pretty constant presence. They are always there in their over-the-top glory to strike down enemies and monsters with their Katanas. Where have these games gone and, more importantly, where are the ones that realistically portray the warriors of old? There are still a few series around that allow you to take over samurai, but they seem to have dropped off the radar after the Playstation 2. Games that immediately come to mind when thinking of samurai are the Tenchu, Dynasty Warriors, and Onimusha series'. Each of these series have their own interesting merits to be certain. They are all very different and can satisfy the needs of different players. Tenchu used to be a really cool stealth franchise that was more about ninja than anything, Dynasty Warriors is all about mindless hack and slash, and Onimusha was a serviceable action game with a lot of supernatural elements. These games, for me at least, are missing a very vital part that I want in a samurai game though. There is also Way of the Samurai, and while it does provide the best example of the type of world that a realistic samurai game could have, the games have uninteresting combat and Way of the Samurai 4 tries to be way too hard to be funny with dumb names and jokes. It is a good effort but plays up the weird comedy, alternate history bit too much for my tastes. What I really want in a modern samurai game is a combat system that realistically (degree) portrays the life and death battle that each and every one of them went through each time they drew their katana against another samurai. Dark Souls has a combat system that I would love to see samurai games emulate, to a degree. While Dark Souls isn't hyper-realistic, its combat does present a very real danger to the player. When you face off against a boss in Dark Souls, you know that you could die if you make a single wrong move. Let down your guard for a second so that you could get a better look at the beast? Whoops, you just got killed in one shot. What better way to exemplify the way that samurai would fight knowing that a single misstep could cost them their lives? In the manga Vagabond, battles, while certainly exaggerated to make it more interesting, are not the affairs commonly seen in battle manga. The two ronin usually square off, eventually come to blows, and find the battle over in a matter of minutes (at least a few chapters pass though). That's how it would actually be though right? When you are struck by a katana, you aren't going to just reel back and start swinging again. You're likely beaten if a good swing is gotten in. Sure, it might be extremely difficult to learn to play a game where a single misstep costs you your life, but there would be ways of learning this combat system obviously. Starting out with wooden practice swords so that combat isn't so demanding to begin with is the best solution. Moving up to a real katana would mean that you have shown that you are ready to put your life on the line in the game. 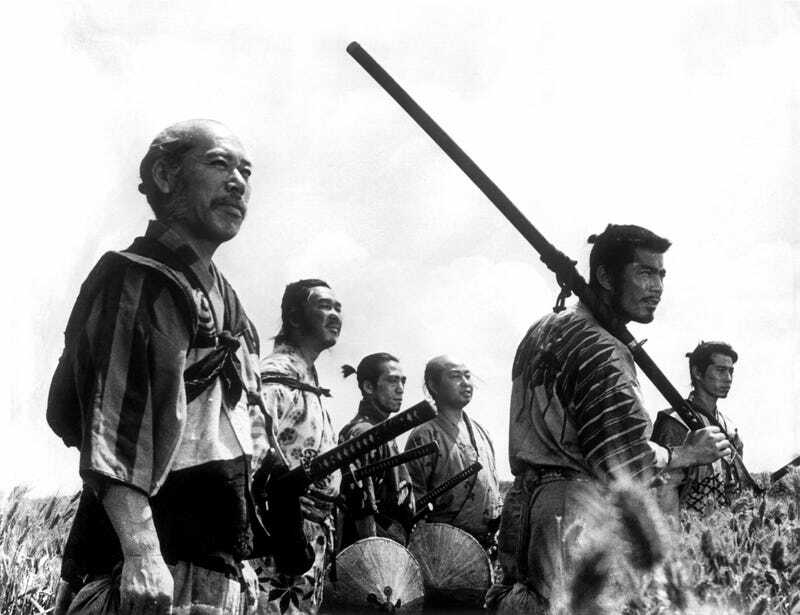 Look as far back as Akira Kurosawa's Seven Samurai. The battles in that film are extremely intense, showcase the skill of the samurai involved, and are far more memorable in my mind than any fight with a katana in games that allows you to keep coming back from blows. It is about mindset, your placement, and whether you can outwit your opponent. These things would be so interesting to see in a modern day samurai game. This is something that a samurai game should take to heart. Combat should be short, intense, and sweet. And really, that's what would make it a samurai game. A historical setting is what I would love to see, but when it comes down to it, the sword fighting is most important in a samurai video game. We live in a society where samurai are considered some of the coolest figures in all of history, yet by my account, they are severely underrepresented and misrepresented in video games. There are ways this could be changed, and I think that these games would sell well. They may not be hits around the world, but I believe that there is absolutely a market for games like this. Hopefully one day we will get a chance to see it. Will Monster Hunter Finally Make It?